The Basics of RV Electrical: Things that Every RVer Should Know! The Power Cord Types: 30 Amp or 50 Amp? The privilege of electricity is the one thing that separates traditional camping from RV-ing. 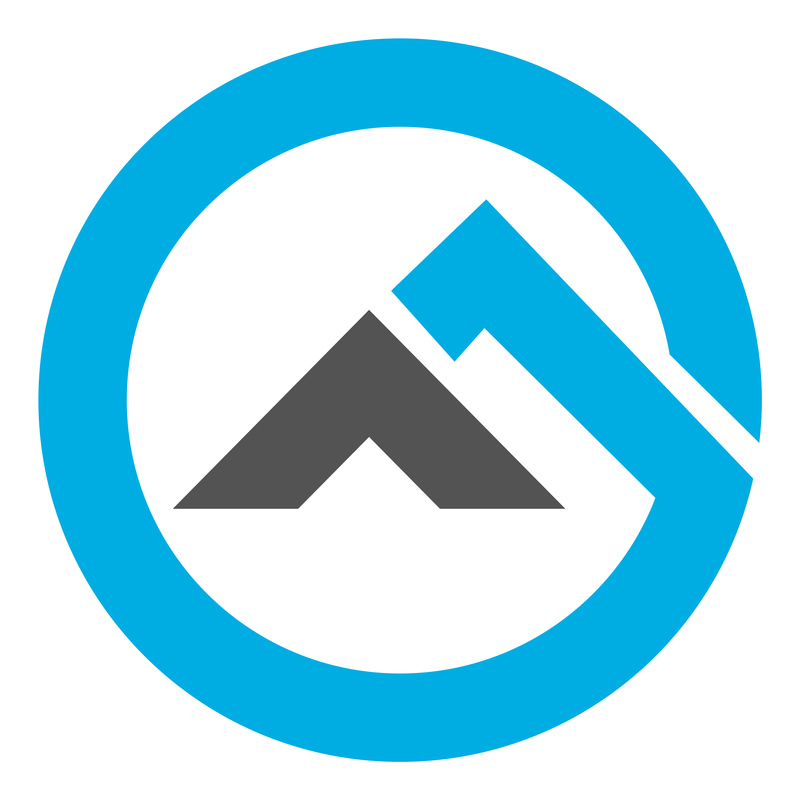 The option of having access to the best RV generator, electrical hookups, solar panels, or other electrical sources in the motorhome brings the comfort of home on the road. It’s important that you understand the RV electrical so that you know what is going on with the appliances, wires, panels, batteries, and other things related to the system. 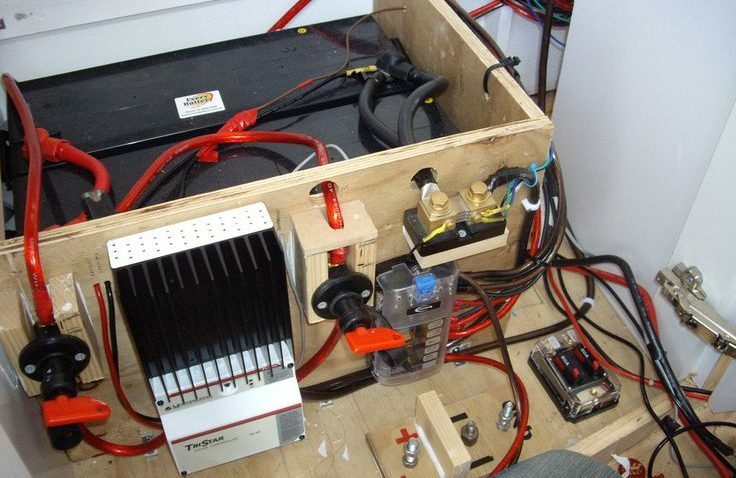 Learning the basics of the travel trailer electrical system will teach you to strike a balance between your electrical needs and the available power. There is no need to be an electrical engineer but you should at least know how it works if you are an avid traveler. Learning the basics will help you to get by. Before delving into all the terms and explanation of the RV electrical system, you should know the total amount of power you are going to get from the electrical sources in your motorhome. The electricity is amps (A) and voltage (V) and they yield electrical power known as wattage (W). The equation will be, W = A x V.
You have a limited amount of electrical power. Keep your usage within that limit of available wattage to allow RV electrical panel and circuits run smoothly. 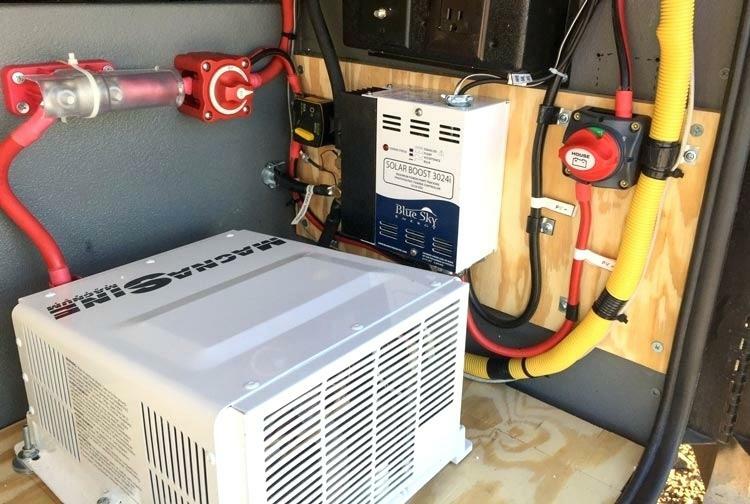 The RV electrical runs on two systems – a 12 volt powered by a battery (or batteries) and a 120 volt powered by a generator or RV electrical hook up. The 12V DC system power up appliances like a furnace, refrigerator, lights, water heater, and several other things. The 120V AC system supplies power for the electronics you use daily including the TV and kitchen appliances. In most cases, there will be a 120V electric source for the campground electrical hookup. 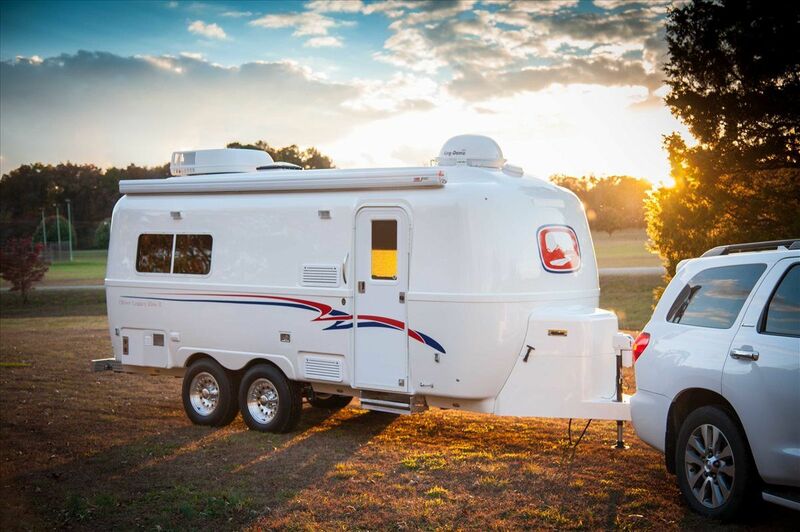 Your motorhome has a long, heavy-duty power cord that supplies power upon hooking up to the camp’s electrical outlet. Electrical hook up at RV campground. You have to use a converter to convert the AC power to DC power and an inverter to do the opposite. The conversion is necessary for situations where you don’t have access to both types of power sources. 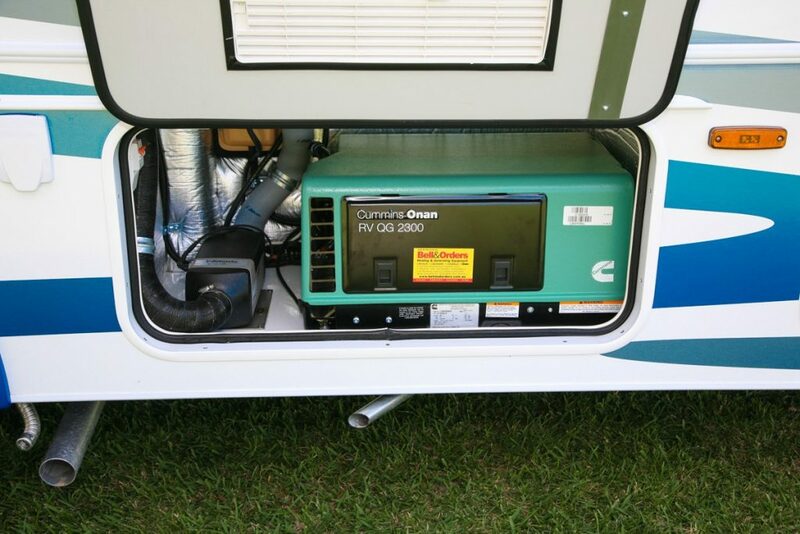 A converter can transform a portion of the power you are drawing from the campground’s electrical outlets into DC current to operate the items that run on that power type. Converters that are also known as chargers are not used as much as the inverters. If you are using a converter, purchase a high-quality one that can handle the complicated RV electrical setup. The 12V battery gets charged up when you plug into the campground’s power source. But, when you are boondocking and there is no external power source, you have to use the battery power to run the appliances and electronics. An inverter, in that case, will transform the battery’s DC power into AC current, helping you to power up the appliances that need 120V. The inverter should be used in an emergency when you don’t have a generator. Remember that the battery’s power limited and it will eventually run out of juice if you use its power to run too many appliances. 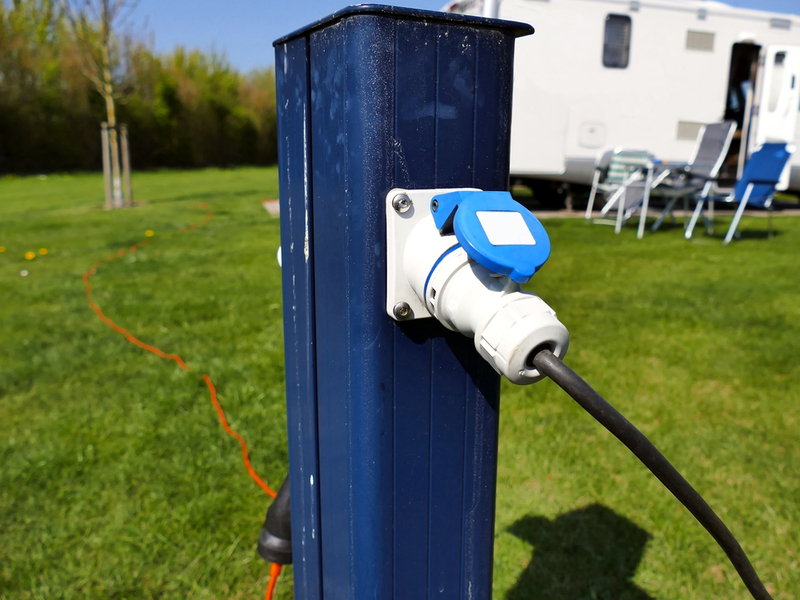 All the motorhomes (except for a few models) have a power cord that you can plug into an external outlet like the campground’s electrical pedestal to draw AC power. That power cord is available in two amperages – a three-prong 30 amp or a four-prong 50 amp. Most campgrounds offer both 50 and 30 amp hookups but a few of them could only have the 30 amp outlets. In that case, you should always keep an adapter onboard that allows plugging a 50 amp cord to a 30 amp outlet. You can never hook up a 30 amp cord to a 50 amp outlet, though. So, make sure that the power cord in your trailer is rated as 50 amp. Remember that it is possible to draw more electricity at once from a power source with a 50 amp hookup than the one rated as 30 amp. We’ve already discussed two power sources – the batteries and shore power (plugging into an AC electrical grid like an electrical pedestal in an RV park). When you connect to a shore power, remember to switch on the pedestal’s circuit breaker after plugging in the cord and switch it off after disconnecting. RV generators work like a shore power source because of supplying AC electricity but are less powerful. Although, the size and wattage of the generator determine the amount of power it is capable of producing. A small trailer can function with a 1000-watt generator given that no major electrical device like AC is not running. 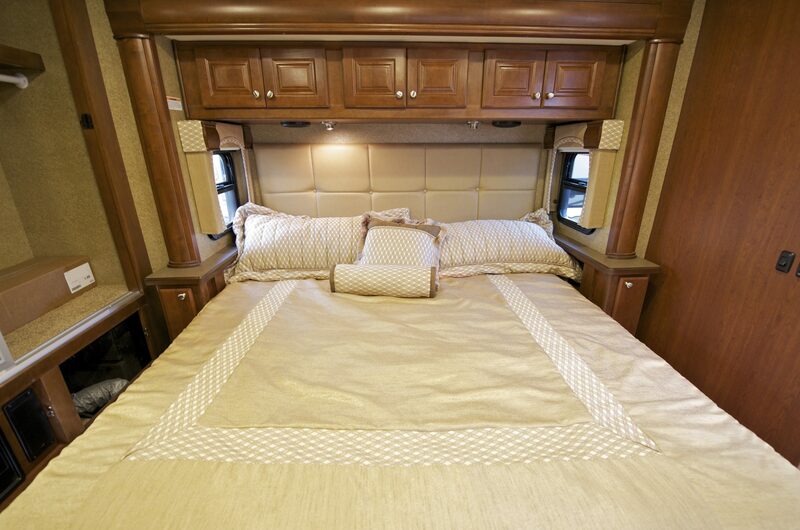 On the other hand, big-size motorhomes need a generator rated between 3,500 to 5,000 watts. You can also daisy chain multiple low-powered generators to build a powerful unit but it will take plenty of space. Both are renewable energy sources and they cannot supply on-demand power. Instead, they recharge the battery unit which, in turn, supplies DC power to the compatible devices. Solar panels or portable wind turbine are the great energy option when you are dry camping. You don’t have to worry about draining the battery since you recharge it over and over. Solar panel is another great power option for RV camping! Another term in your RV electrical layout that you need to understand is the functions of the fuses. Just like your home, the RV electrical setup also has fuses for protection against power surges and overdrawing of power. If you experience sudden power loss in the RV, the most probable reason is a blown fuse. Most motorhomes have reusable fuses that just separate the connections without being blown. But, there are also systems where you have to replace the fuses after the power loss. Learn the fuse types used in your RV and the fuse panel location before going on a trip.